Schedule your professional window replacement in Talahi Island with Savannah Georgia general contractor American Craftsman Renovations. We are a full service remodeling and renovation firm that can help you increase the value of your home and create a more comfortable atmosphere for your family and guests. 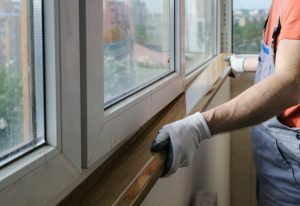 Whether you have an older home that needs its windows replaced or your windows are rotting or damaged, new double pane or triple pane windows will enhance the look and feel of your property as well as help reduce drafts in the winter and hot air from creeping into your home in the summer. While replacing your windows with double and triple pane windows does have an upfront cost, you will enjoy energy savings over many years as your home more efficiently rejects solar energy in the summer and retains heat in the winter. Replace your Talahi Island windows in Savannah Georgia with American Craftsman Renovations.